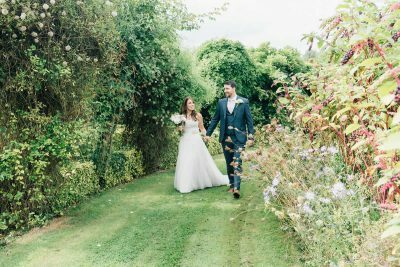 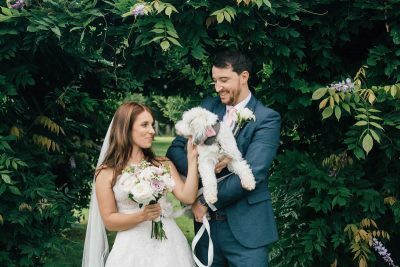 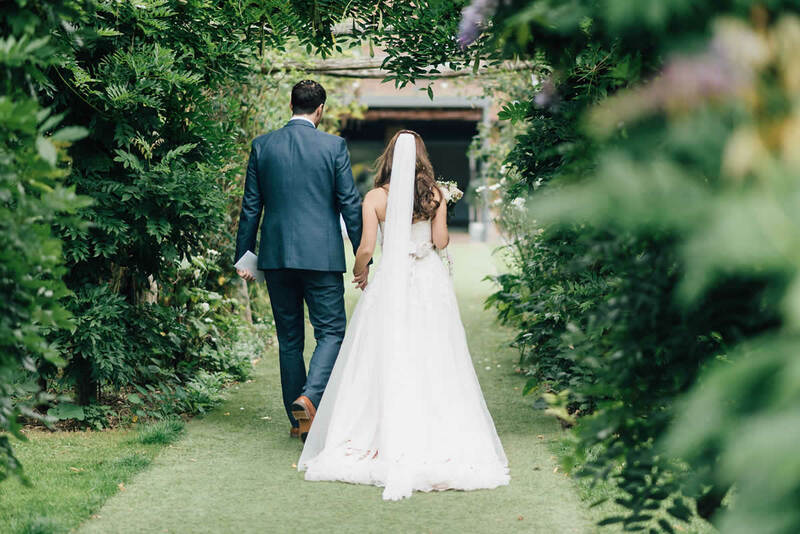 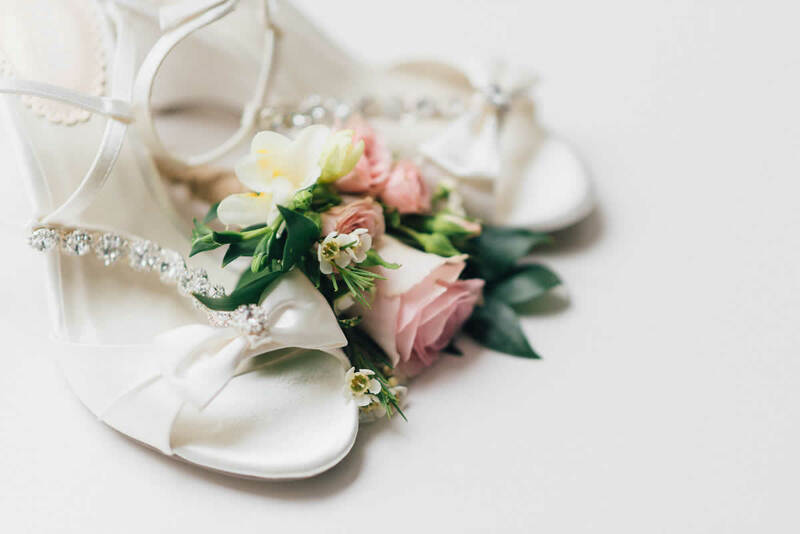 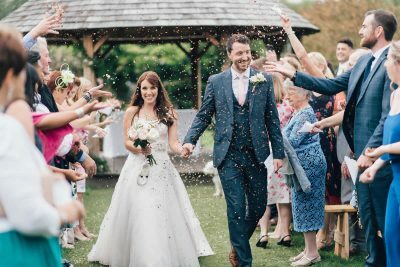 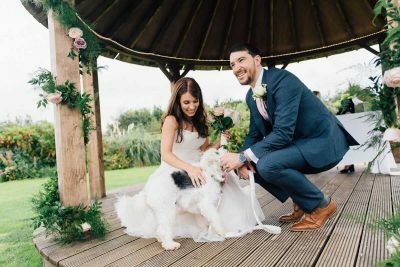 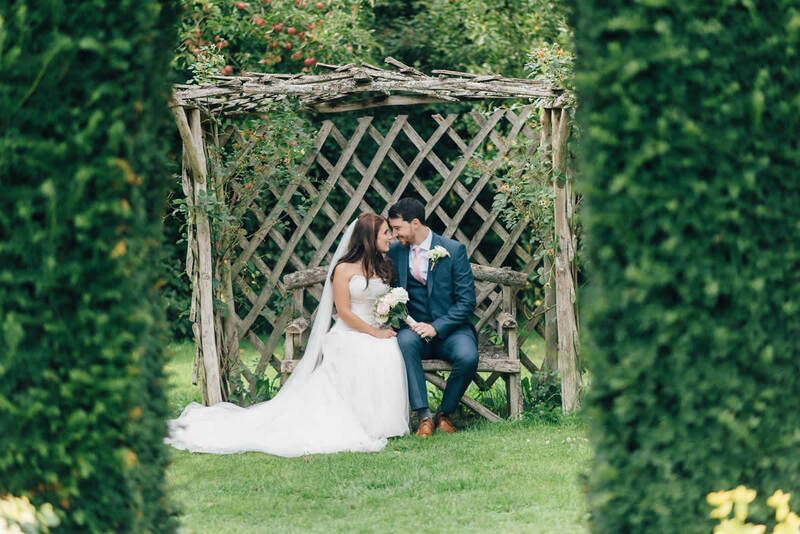 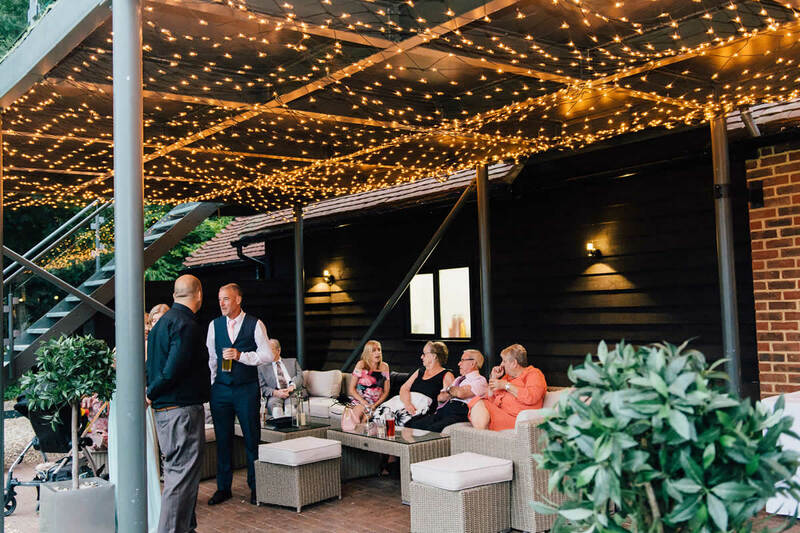 Natalie and Christian tied the knot in September this year on a glorious sunny day in the beautiful and relaxed surroundings of Yalding Gardens. 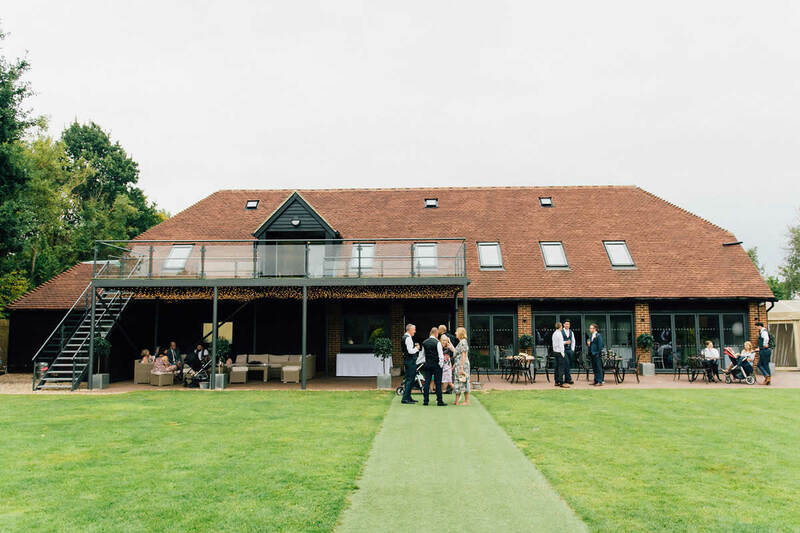 The couple knew straight away when they visited the venue that it was the perfect place to hold the wedding that they had been dreaming of. 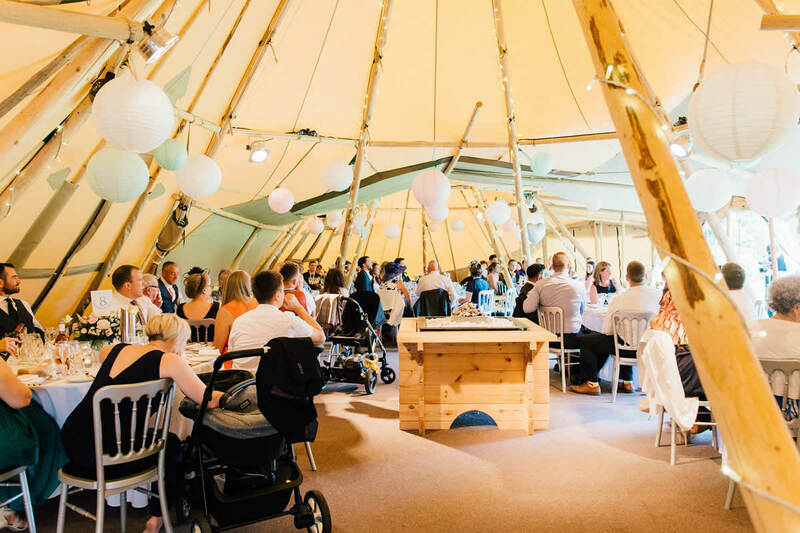 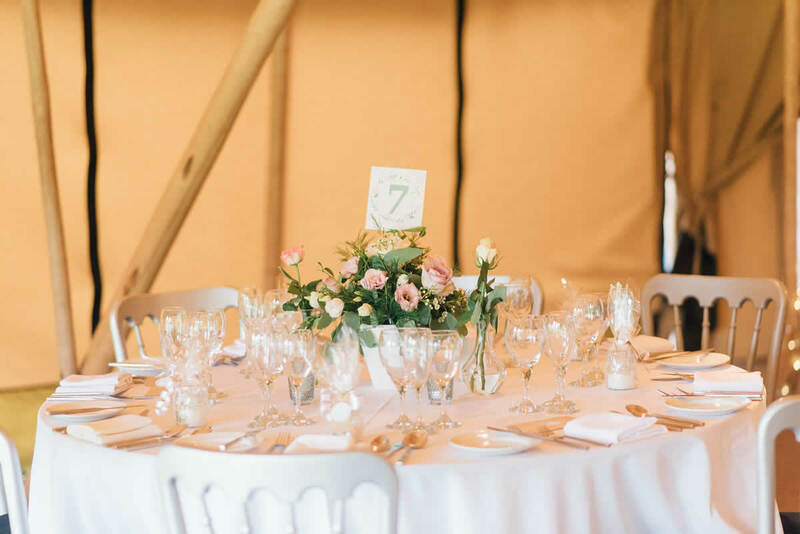 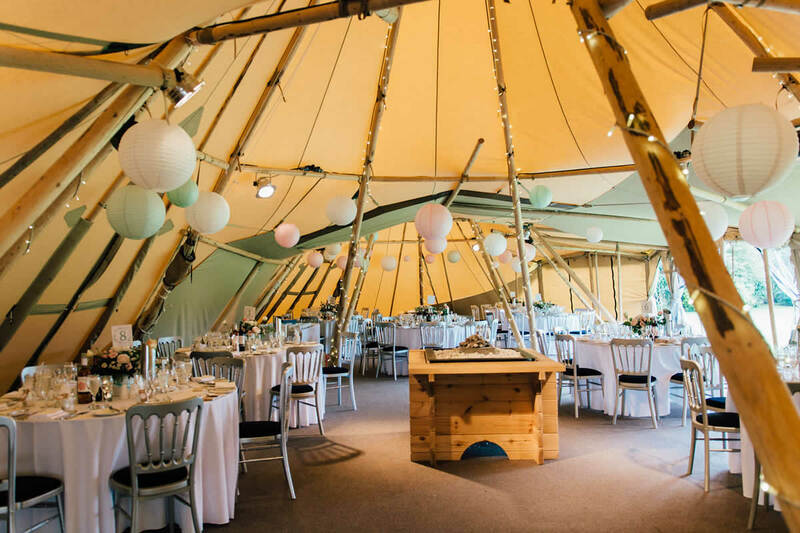 Yalding Gardens amazing tipis and beautiful outdoor space inspired the couples relaxed garden party theme; Pimms was served after the ceremony and paper lanterns decorated the tipis where the wedding breakfast was held and terracotta pots filled with garden flowers made for beautiful centre pieces. 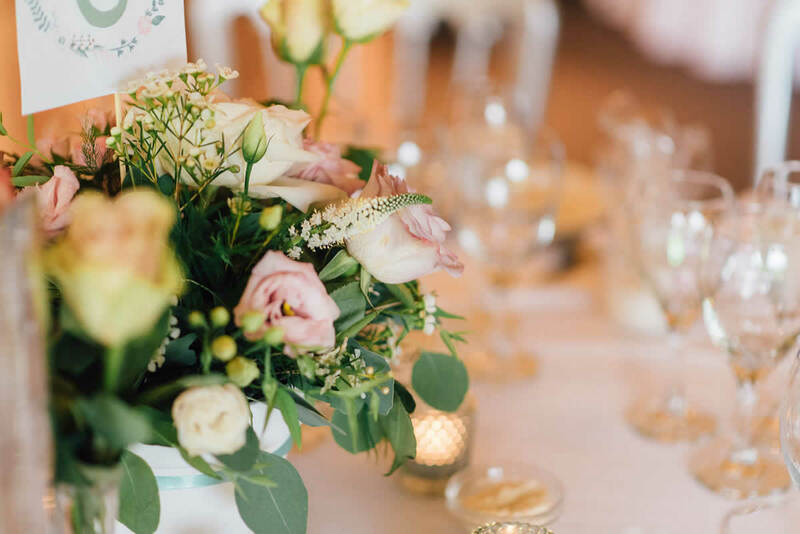 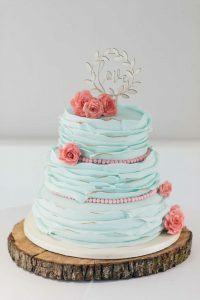 Soft blush and ivory where the main colours found throughout the day with a nod of duck egg blue. 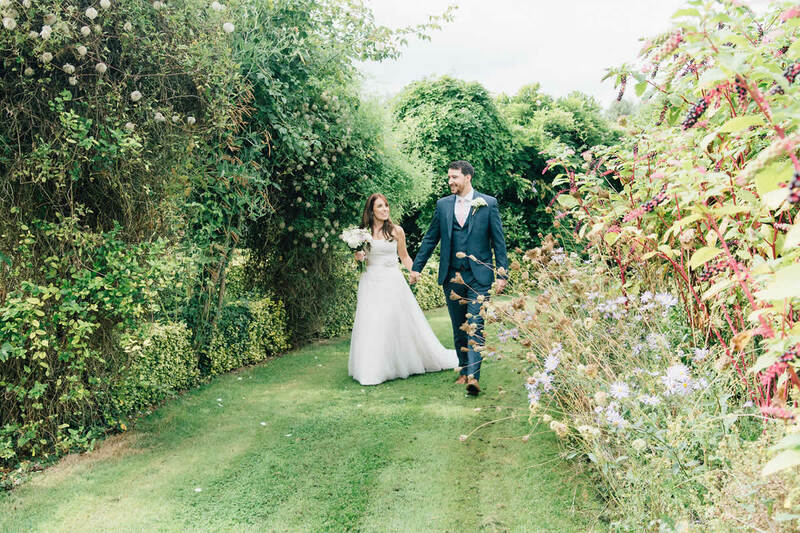 The perfect colour scheme to compliment the lush green, natural surroundings. 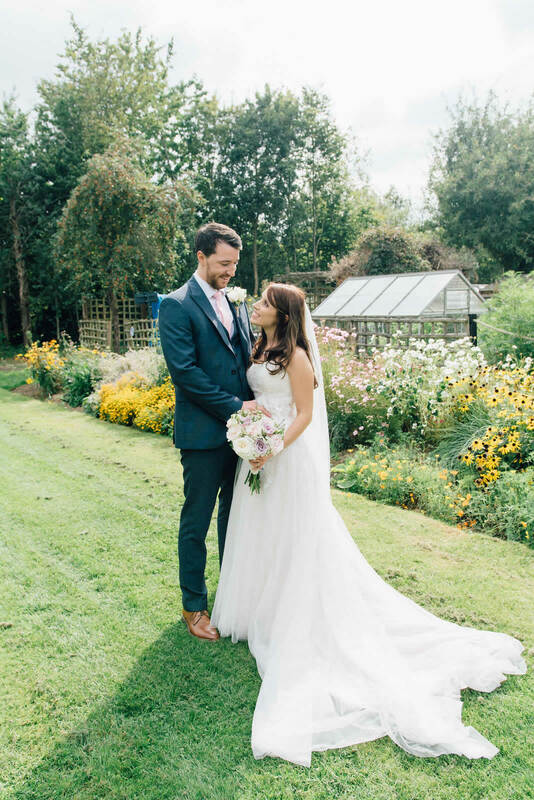 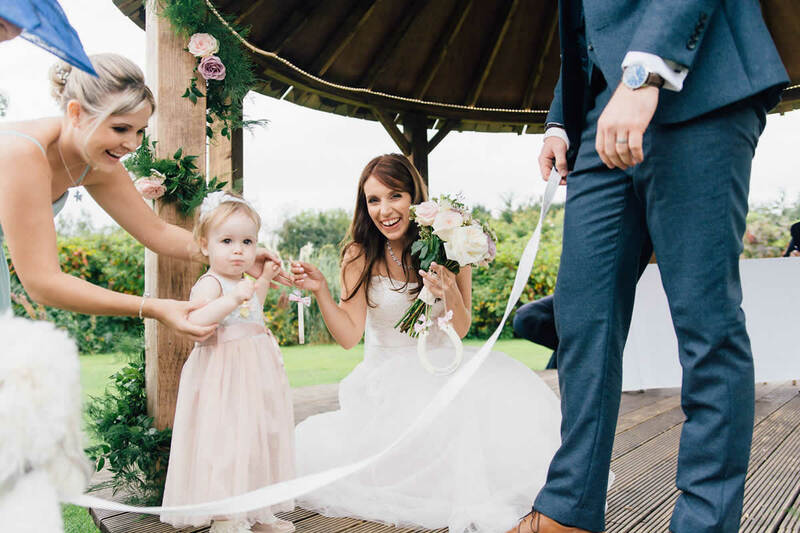 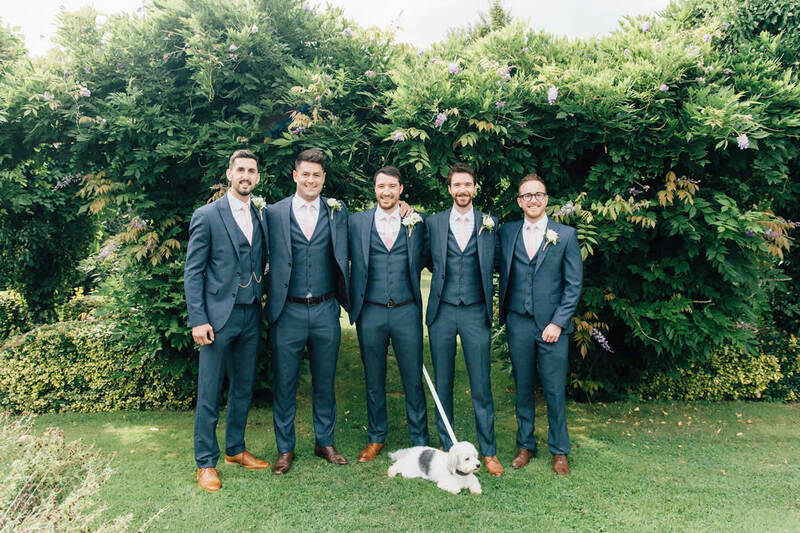 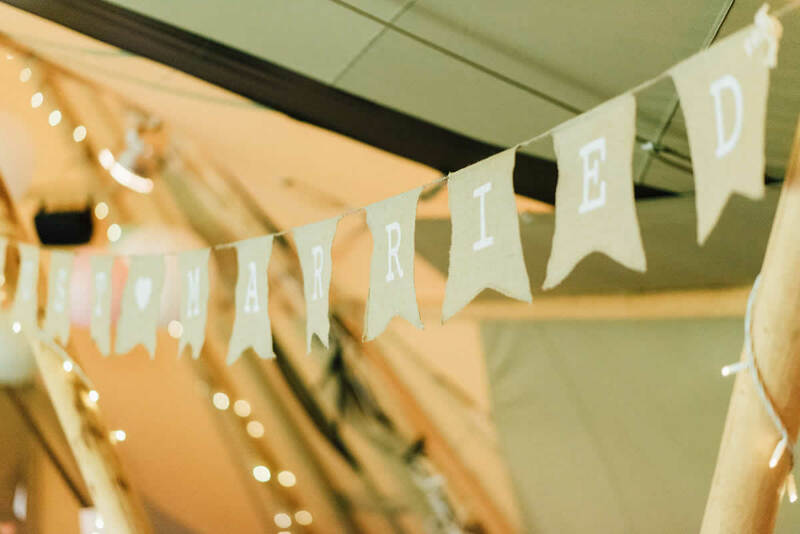 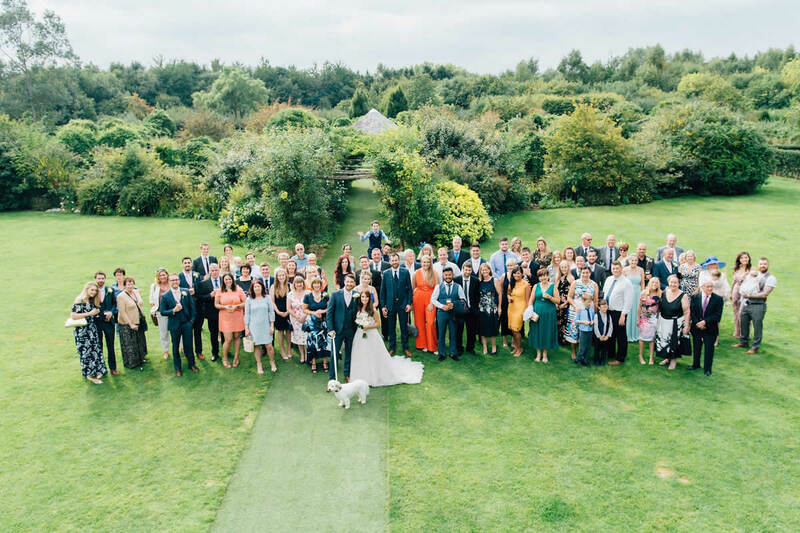 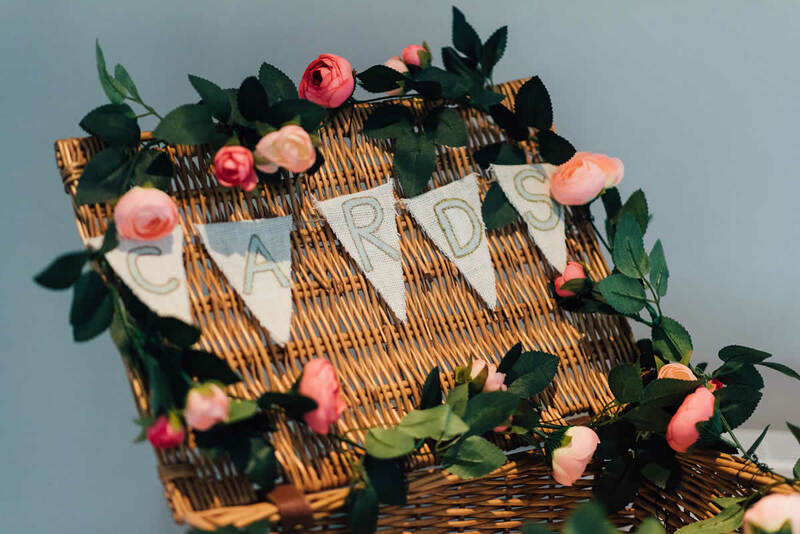 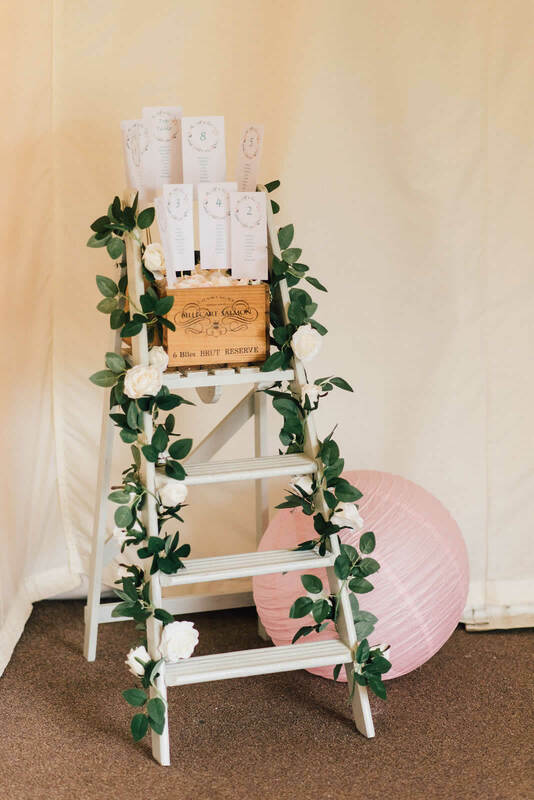 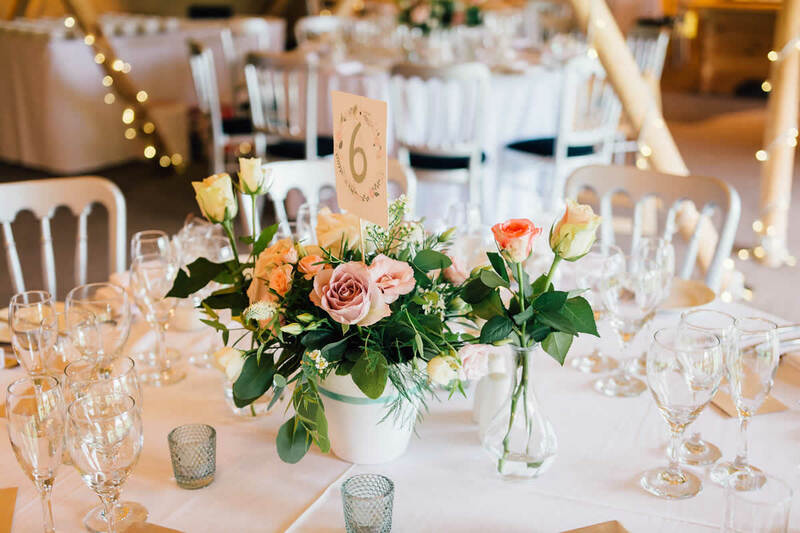 Natalies words “We wanted a relaxed and informal wedding and the main thing for us was that everyone enjoyed the day. 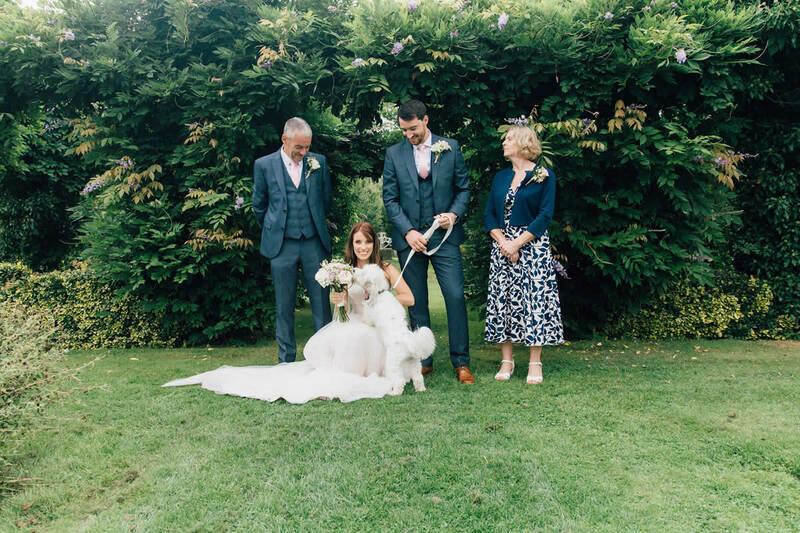 We was also allowed to have our dog at the ceremony which made the day extra special for us! 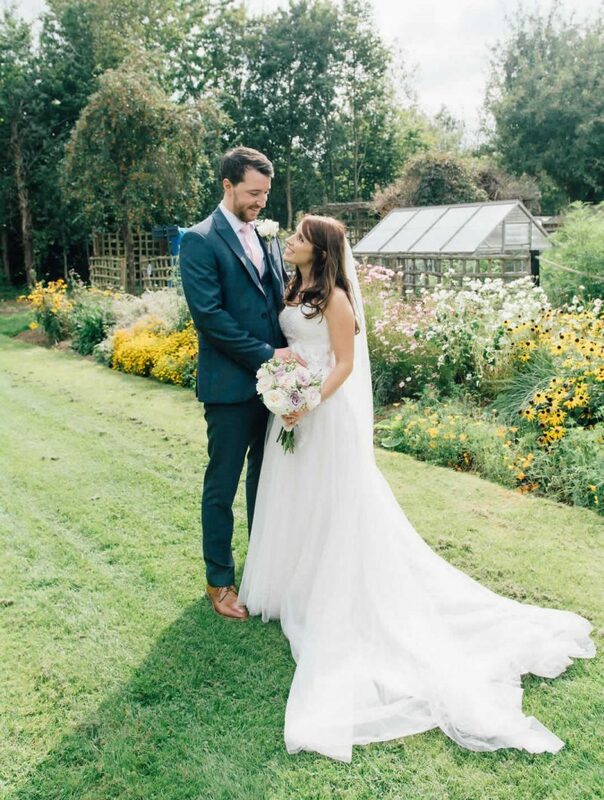 Natalies dress was a stunning strapless, A-line gown from the Emma Charlotte collection by Ladybird. Soft ivory tulle with a blush underlay created the gentle, feminine silhouette finished with gorgeous, subtly embellished ivory lace appliqué; the perfect dress for her relaxed, garden party style. 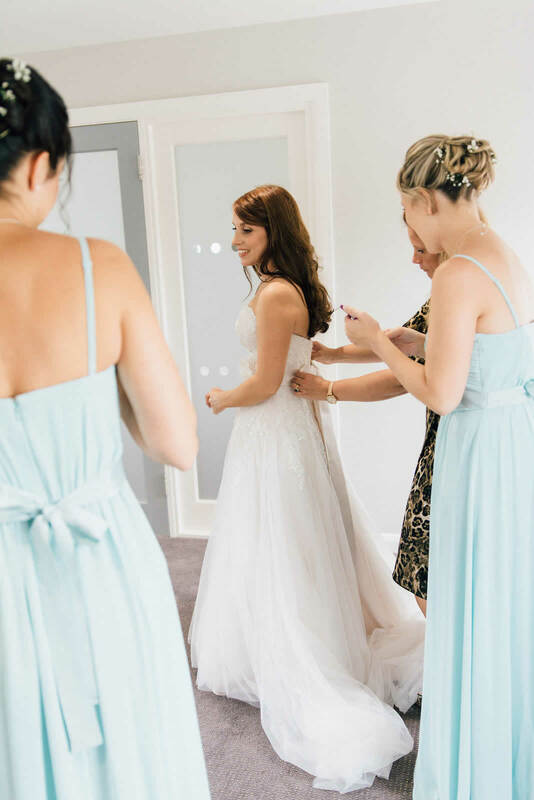 At the end of the appointment the assistant asked me to choose a dress I wouldn’t ordinarily go for and she also chose one that she thought would suit me. 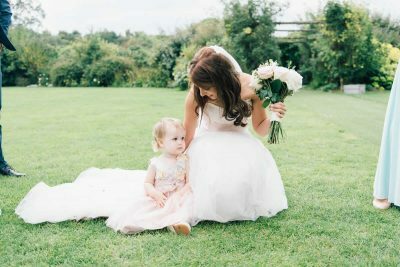 In the end I couldn’t decide between these 2 dresses that I originally never thought would suit me! I went to another shop a few weeks later and realised I was only looking for dresses similar to the previous 2, so I went back to Go Bridal and it was easy to make my final decision. 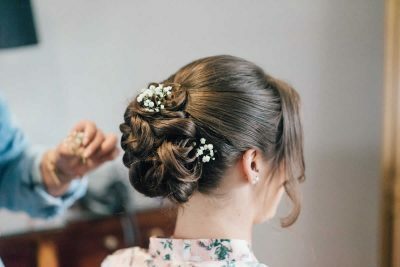 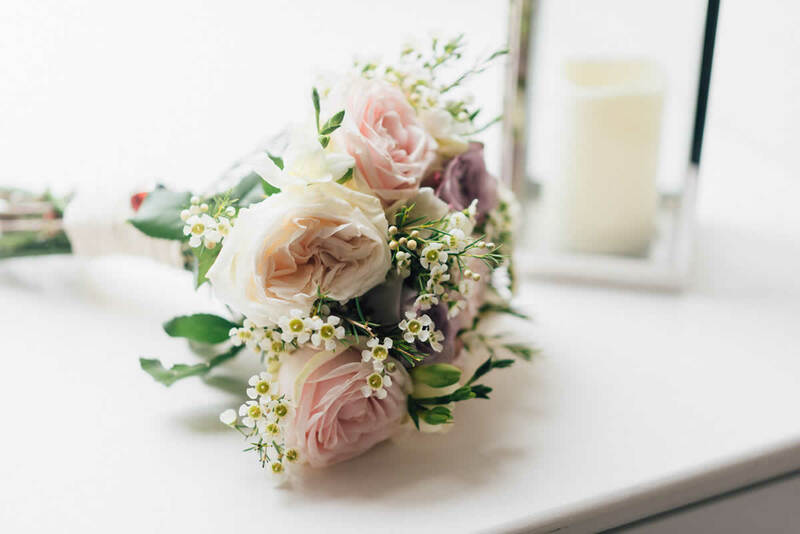 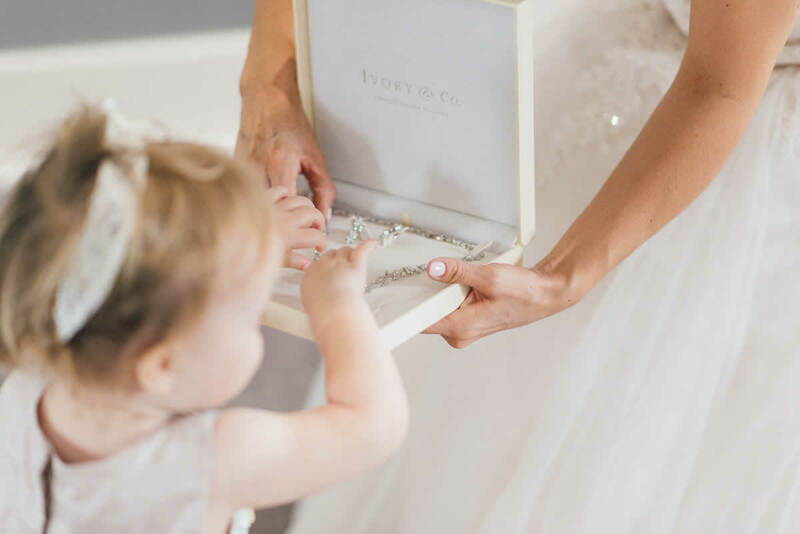 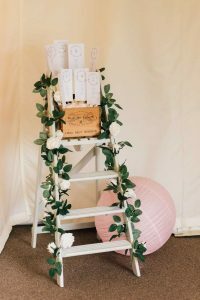 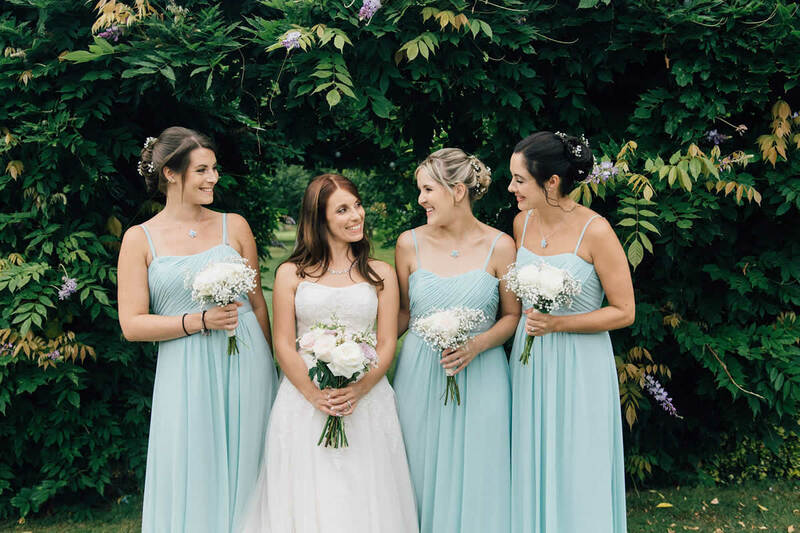 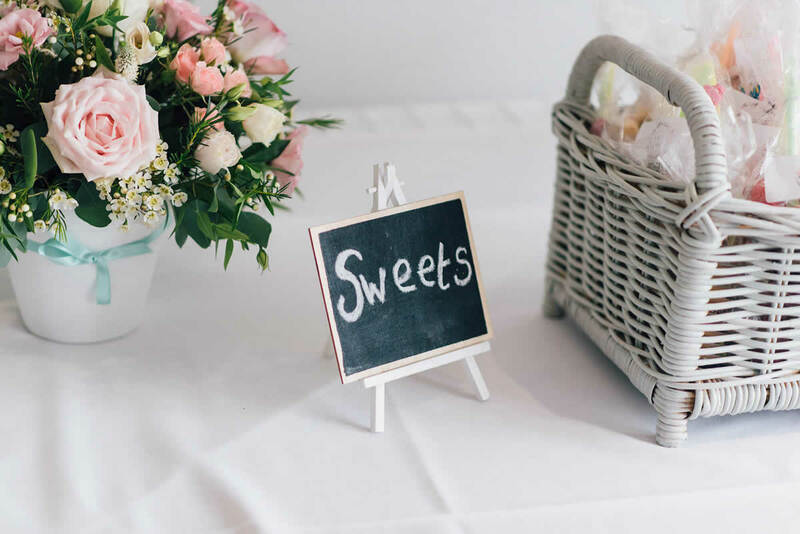 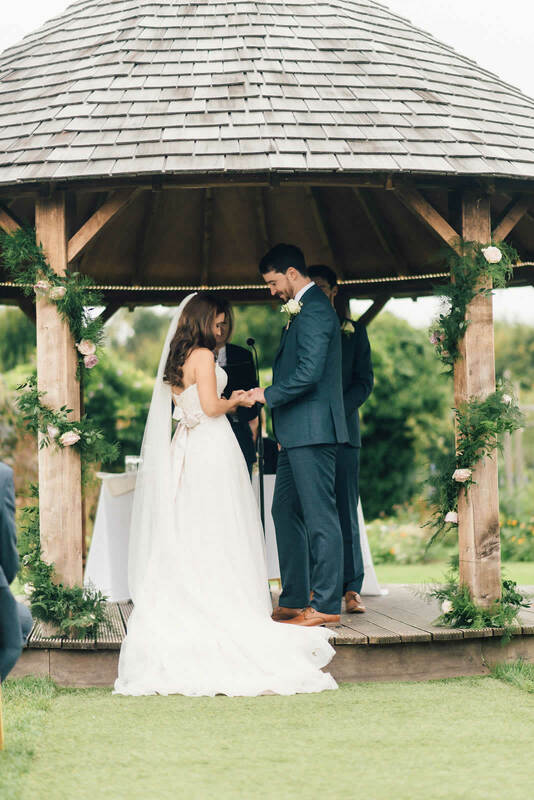 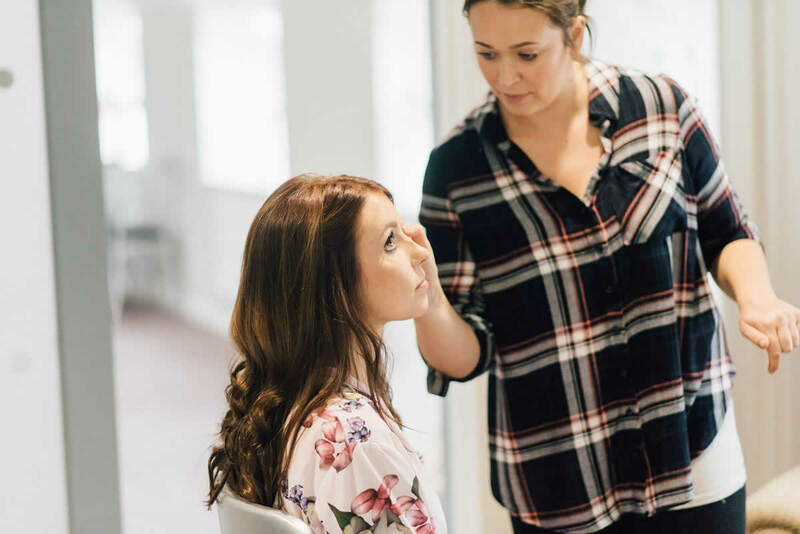 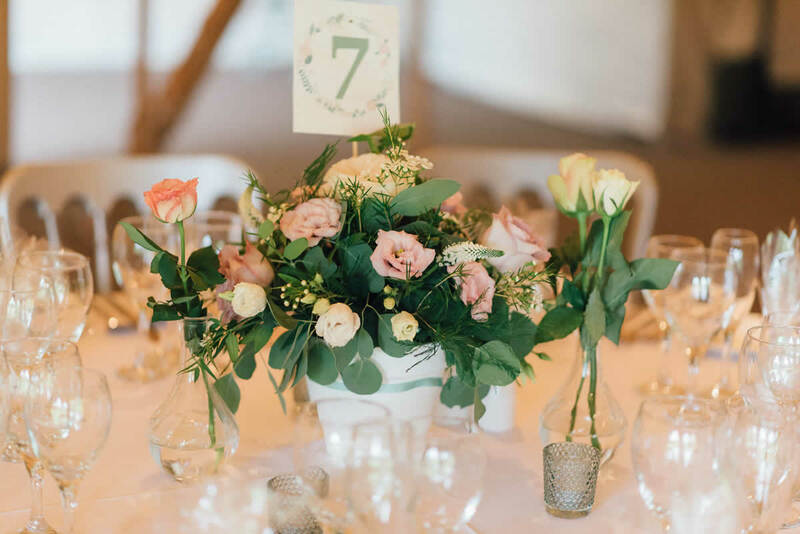 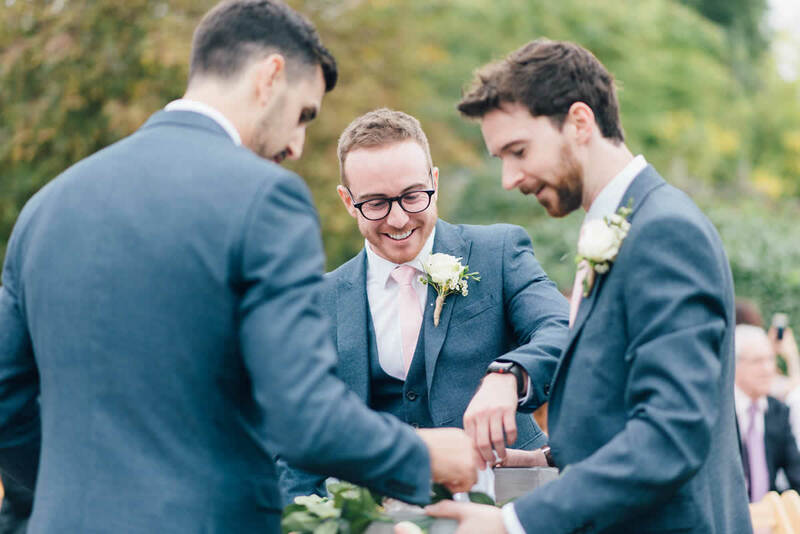 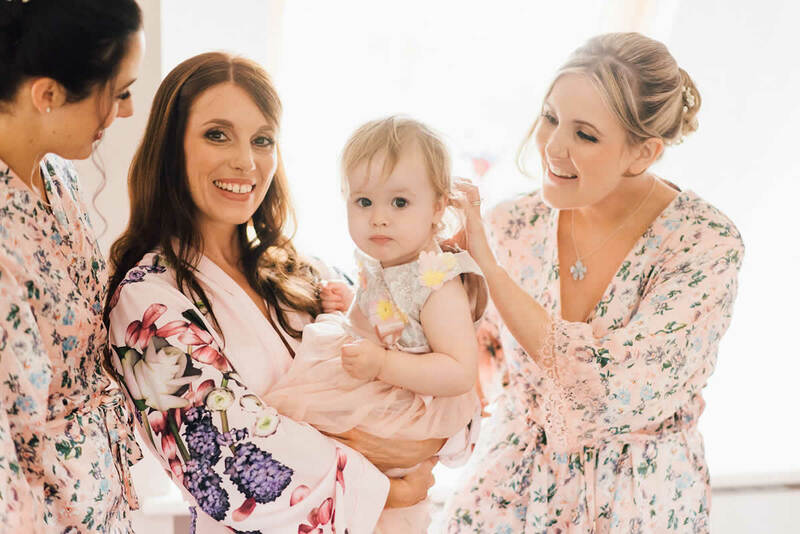 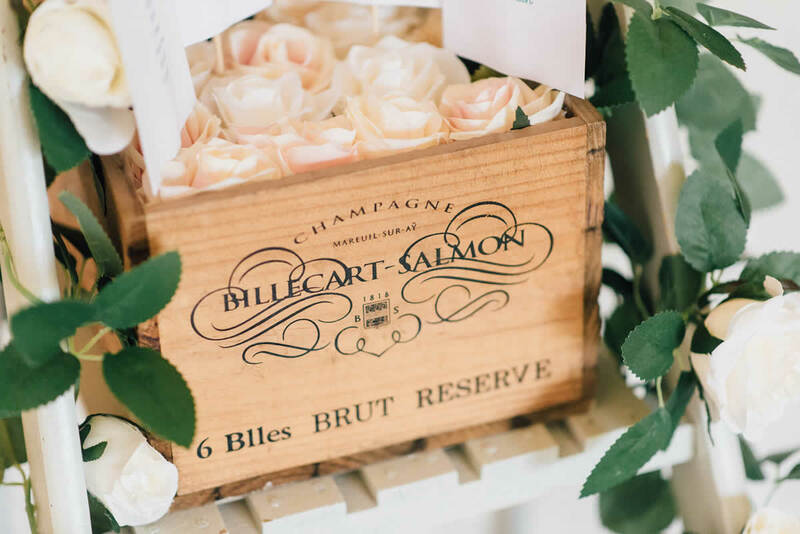 “My favourite memory of the day is the ceremony, I was nervous about this bit of the day beforehand but on the day it felt so relaxed and comfortable. The readings by my sister and Christian’s uncle were really personal and laugh out loud funny and our dog wasn’t happy that I hadn’t been able to give him his normal big hug greeting on my way down the aisle so we could hear him grumbling in the background which made everyone laugh.